We’re standing up for the constitutional rights of all Americans: The First Amendment protects our right to communicate and associate privately. The Fourth Amendment protects us against unreasonable searches and seizures by barring the kind of general warrant that compelled U.S. telephone carriers to turn over potentially sensitive information about Americans’ telephone call records. The secretive processes of the Foreign Intelligence Surveillance Court violate the most fundamental guarantees of the Fifth Amendment to due process, as well as basic principles of the rule of law. Amen. Our founding fathers wrote the 4th Amendment to prevent precisely this kind of secretive sifting through citizens’ private records. As the recent scandal involving the IRS targeting tea party groups illustrates, America’s founders knew all too well that government would always be tempted to use perfectly innocuous information about Americans’ beliefs and behaviors to harass them and treat them unfairly. This is why our Constitution and federal laws restrict the government’s power to collect private information about its citizens. These rules exist not so criminals can conceal their behavior, but to protect you and me. And when the government violates those rules, it is acting criminally. Think you’re off the the hook because you communicate primarily using the Internet, rather than via phone? Think again. We know that far more extensive collection of Americans’ data has occurred under the same authority—50 U.S.C. § 1861—upon which the Associational Tracking Program is based. According to a leaked 2009 NSA Inspector General report, NSA in 2001 began collecting “bulk Internet metadata” from at least three unknown large Internet companies. A 2007 DOJ memo regarding “supplemental procedures” for NSA data collection authorized the agency to collect Internet metadata—including the “email address[es]” of each sender and recipient of an email, along with their “IP address”—for “persons in the United States.” The memo further states that “NSA has in its database a large amount of communications metadata associated with persons in the United States.” However, a spokesman for James Clapper, the Director of National Intelligence has claimed this Internet metadata collection program was “discontinued in 2011 for operational and resource reasons.” Who knows if this is accurate, or another “clearly erroneous” statement that will be corrected in future months or years in a statement resembling the letter James Clapper sent to the Senate Intelligence Committee a few weeks ago. Yet if the NSA’s Associational Tracking Program is lawful, the Internet metadata program is probably legal as well. 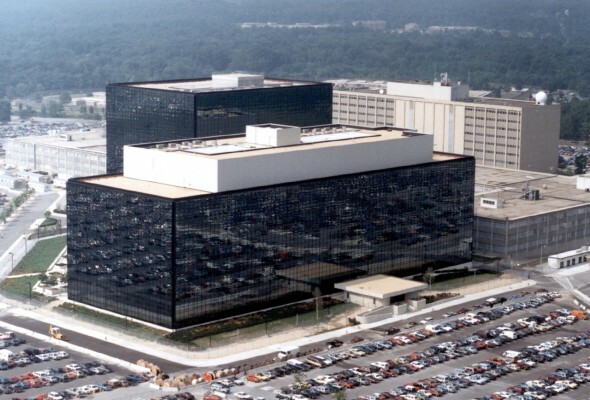 If courts fail to halt the NSA’s program as it currently exists, and clarify what Section 215 of the USA PATRIOT Act really means, nothing is stopping the government from resuming its acquisition of Internet metadata—that is, if it hasn’t already done so. These suspicionless mass surveillance programs don’t just endanger our constitutional rights. They also threaten free enterprise in the information economy. Increasingly, we transact, communicate, innovate, and create in the digital realm, where information itself is a form of wealth. But if Americans reasonably perceive their digital communications—including metadata—are subject to warrantless governmental interception, some who might use cloud services will choose not to do so. Not only would this distort the future of Internet commerce, it might cause cloud computing servers and businesses to move or be formed abroad—which, ironically, could deny U.S. law enforcement access to this cloud data. If the information age is to realize its full potential, providers of electronic communications services must be free to make credible assurances to their users about when private information will be shared, and with whom. Users need to know that the data they relinquish is confined to agreed-upon business, transactional, and record-keeping purposes—not automatically stored in a government datacenter. Next post: Aaron’s Law: What’s Next for CFAA Reform?